History has already happened; however it has not always been written. And debates continue to emanate around different historical situations. With that in mind, and as the authors of a few of our own books, we shall occasionally be reviewing books on this site. And the first book that we shall be reviewing is on a harrowing subject, that of the Nazi German and Soviet invasion of Poland. The book we are looking at is by a man who has written many history books to date, Nick Shepley. His book details the political machinations that led to the deal between Stalin and Hitler to divide Poland, a relationship of convenience between two sides of the totalitarian coin. The book starts well with an overview of World War II, including some interesting facts. For example, I don’t think that it is widely known that the Soviets had plans to invade France and Italy in 1945 that were put to one side after Stalin saw the power of US nuclear weapons. Anyway, the book starts by discussing the Nazi-Soviet Pact, especially the secret agreement that was included in that deal. There is an interesting overview of the thinking within Germany over the years before the invasion of Poland and how it led to the Nazis organizing activities to encourage the German people to support an invasion of Poland. The book then discusses the massive German invasion of Poland and how it was followed by a Soviet invasion some weeks later. Often, though, it is the small details that make this book interesting, such as the terror that the German bombing raids brought to Polish towns and cities. It is easy, after all, to forget that bombing raids were still a very new method for defeating opponents on the battlefield at the time. As well as terrifying civilians. 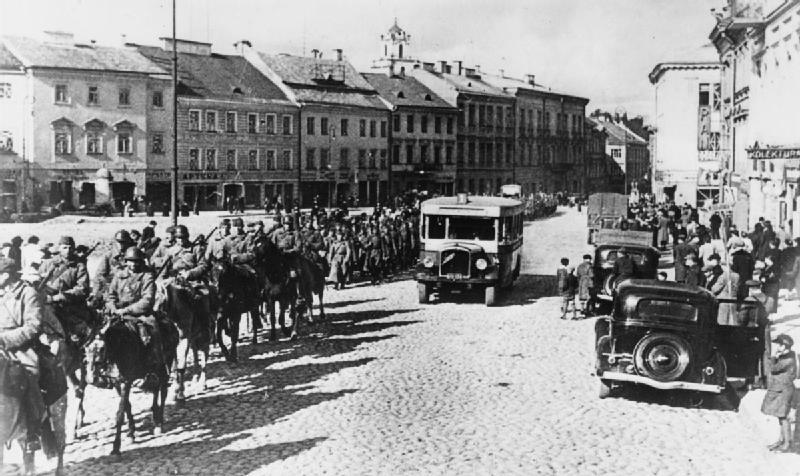 With the invasion looked at, the book moves on to the perhaps even grimmer area of what happened to Poland when two of the most brutal regimes of the 20th century divided it in two. This included ethnic cleansing, massive crimes against the Jews, and the building of Auschwitz. The Nazis also killed many of the Polish elite and the book describes these events in some detail. It also looks at what the Soviets did to Poland - they were just as brutal as the Nazis in their own way. As an added extra, the book also considers the Soviet attack on Finland. All told, the book is a good size to explain the nature of events in Poland over these years, it is written at a very good place, and contains appropriate detail for an introduction to history. I think that it would be a particularly useful book for anybody that wants to learn the basics about these harrowing years in European history. After all, the invasion of Poland is sometimes not given enough attention in general texts on World War 2. More books by this author are available through Amazon or at www.explaininghistory.com.